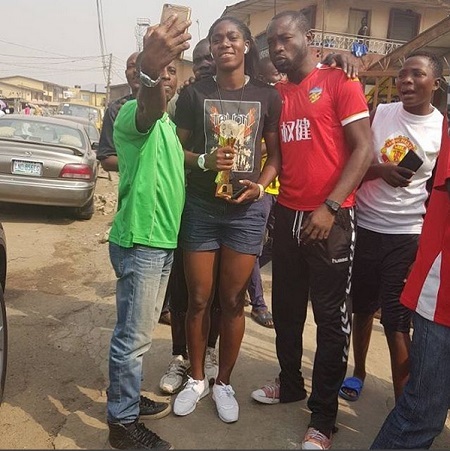 Former Arsenal Ladies and Liverpool Ladies star, Asisat Oshoala has taken to the streets of Mushin in Lagos to celebrate her win. 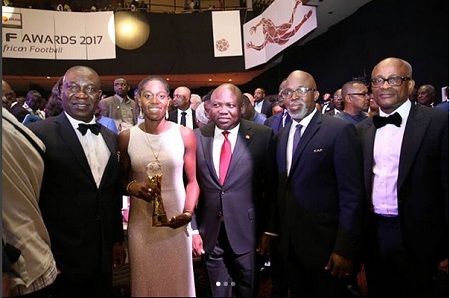 After winning the coveted 2017 African Women’s Footballer of the Year award on Thursday by beating Cameroon’s Gabrielle Aboudi Onguene and South Africa’s Chrestina Kgatlana, Nigerian international Asisat Oshoala has taken to the streets of Mushin in Lagos to celebrate her victory. 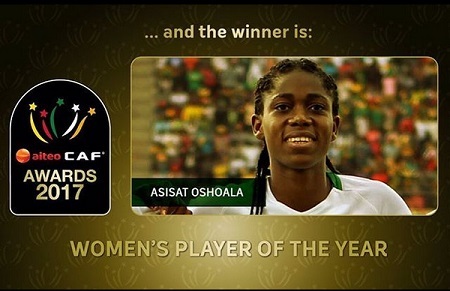 The former Arsenal Ladies and Liverpool Ladies inspired her Chinese side Dalian Quanjian to a double with 19 goals. 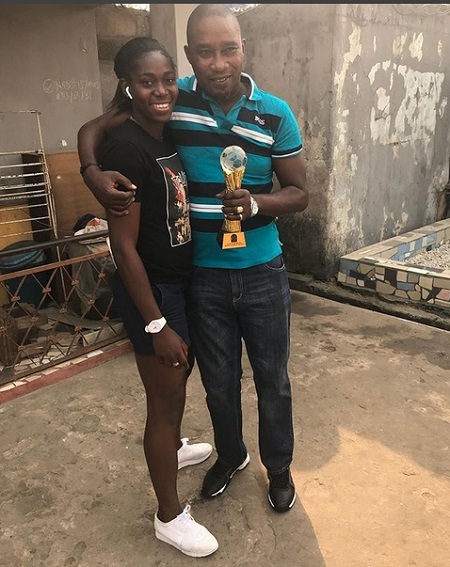 The football star who arrived Nigeria immediately after the awards – took her Confederation of African Football (CAF) award to where she grew up in Mushin area of Lagos as she took pictures with her neighbours/fans.